I’m late to the whole juicing game. But about a year ago, I ponied up and began juicing on my own. My go-to is six carrots, two golden delicious apples, a handful of spinach, a lime and a bit of ginger. Yum times twelve, right? The downside of this, of course is 1) You have to drink it fairly quickly before it goes bad 2) You wind up with random amounts of leftover produce and either have to a) buy more to juice again or b) turn orange from roasting, sauteeing, salad-ing and blending carrots into just about everything possible to finish that five pound bag and 3) having to deal with a lot of kitchen clean up. Simply put, juicing is great, and I love doing it on my own when I can, but if I want to make it a consistent part of my diet (which, after all, a green drink or two a day, should be the goal, not just to go on some overly-ambitious seven-day cleanse…), I have to find a more convenient way. Lo and behold: Suja Juices. These stunningly fresh juices (available at Whole Foods) are cold-pressed using a special method that lets them last in your fridge for several weeks and makes sure they’re never “cooked” like many other juices on the market (learn more here). Some of my notes in case you decide to indulge in a delicious sipper (You won’t regret it). Fuel: This carrot orange concoction is great for sweet tooths–the carrots lend it a natural sweetness coupled with the oranges and a sprinkle of cinnamon (okay, a tablespoon) helps keep insulin levels steady if you want to spritz it up. I’m confident your dessert cravings will go away if you gulp one down post-meal. 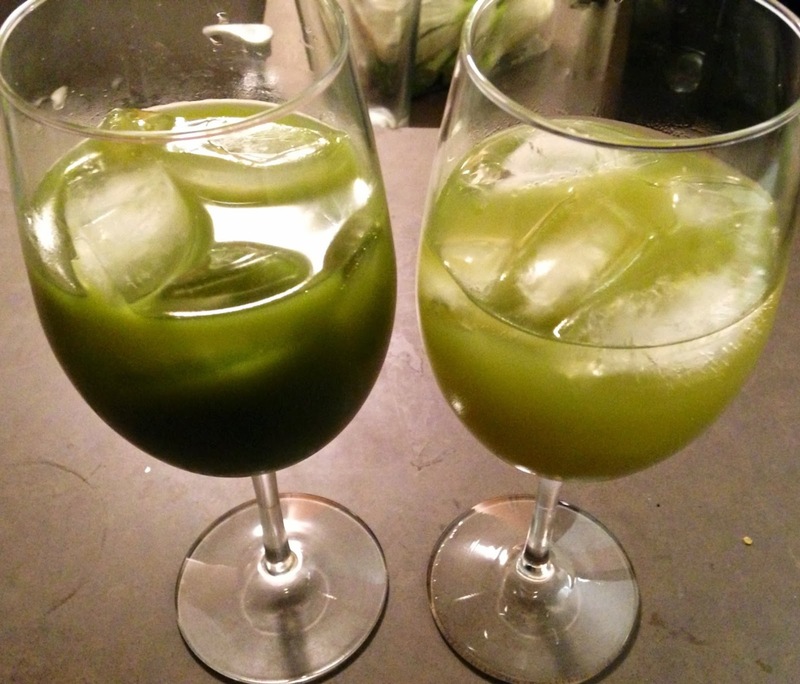 Vanilla Cloud: Like a “gateway drug” for those adverse to trying green juices. Its subtle sweetness is the perfect morning breakfast or nighttime treat. Is it bad that I first thought it would be great with a kahlua cocktail? Okay, maybe. But seriously, this one was good enough to get my totally non-sweet-toothed boyfriend to enjoy multiple ones in a twenty four hour span. So yes, it’s that good. And I even noticed a bottle of V8 in his fridge the next week.